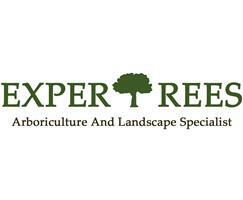 Expertrees (Surrey) Ltd. - Landscaper , Tree Surgeon based in Coulsdon, Surrey. Invoice history based on 539 reviews. For superior tree surgery and arboricultural care in Coulsdon and the surrounding county of Surrey, contact your friendly team of tree care specialists at Expertrees today. Our dedicated team is "Merrist Wood College" trained to the latest NPTC standards and we offer a wealth of arboricultural experience that has been built on our passion for tree care, the local environment and the needs of our rapidly expanding customer portfolio. Expertrees provide a fully insured and fully qualified service that always aims to preserve the life of existing trees wherever possible. From routine trimming and pruning to tree felling and stump removal, our team of experts are able to provide a full range of tree surgeon services carried out with the surrounding environment and the preservation of your property in mind. Expertrees work in compliance with the BS 3998 (1989) Recommendations for Tree Work.